Thales has been awarded by Delhi Metro Rail Corporation (DMRC) the ticketing system augmentation of phases I and II of the Delhi metro. As part of this upgrade, additional ticketing machines and access gates will be provided to improve passengers’ travel facilities and comfort. The project will cover about 100 stations, improving and increasing the ticketing system of Phases I and II of the Delhi metro (respectively the first 65 km of track and the following 125 km) with a new generation of unattended equipment for ticket sale. Thales will deliver a total of 240 additional access gates and will install 300 ticket vending machines (TVM) and 150 automatic vending machines (AVM) dedicated for card top up. The additional gates will be delivered by February 2016 and completed by September 2016. Recently, two new sections of the metro line phase III, Faridabad and Badli, have been inaugurated with the new automated vending machines which allow to significantly reduce queues at ticket counters. 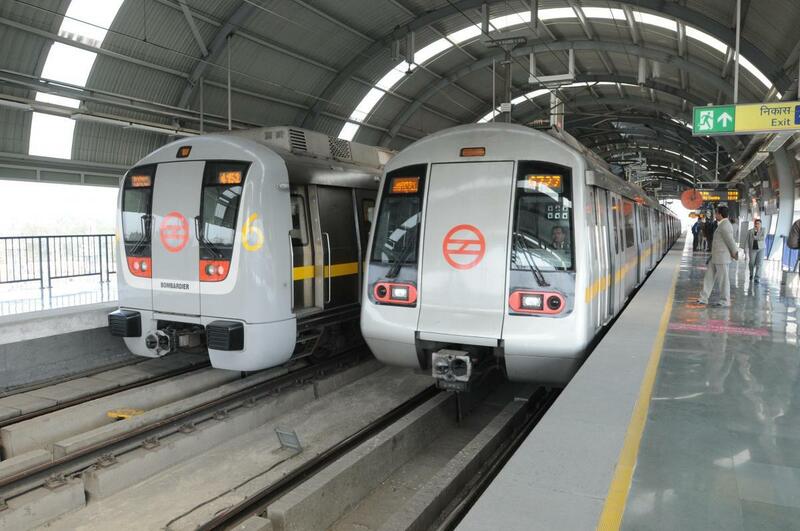 Thales has been a trusted partner of Delhi Metro Rail Corporation (DMRC) for more than 13 years. To this date, Thales covers more than 70% of the total network serving around 3 million passengers every day. It represents a total of 800 new TVM, 600 AVM and 1130 access gates. Thales’s automated systems are helping to make public transport more attractive to Delhi's citizens and reduce congestion and CO2 emissions in an urban area where road traffic is particularly dense. As a long-standing partner of public transport systems in India, Thales has many successful references in the country which include ticketing systems for New Delhi and Gurgaon metros, Communication and Supervision systems for New Delhi, Mumbai, Jaipur, Hyderabad and Bangalore metros, and advanced signaling CBTC for the Hyderabad metro. In main line, Thales provides Digital axle counters throughout the Indian Railways network and a train protection and warning system (European Train Control System) for the Southern Railway.